Passport sales programmes have an uneven history in the Pacific Islands. Although Tonga was among the first of the countries to sell its passports to thousands of purchasers (starting in the early 1980s), its programme has been mostly haphazard, largely illegitimate and often deemed to be illegal. Later schemes appeared in the 1990s in other offshore tax havens - the Marshall Islands, Vanuatu, Samoa, and Nauru - but each has suffered similar problems. Purchasers buy passports to acquire rights, not duties of citizenship. They want visa-free travel and other advantages that foreign passports may confer. They do not want additional tax obligations or other onerous requirements. Poor screening of purchasers may inflict damage on the reputation of the passport selling country. Pacific island schemes have been beset by numerous scandals. Nauru, for example, sold passports to members of al-Qaeda and other terrorist groups in Turkestan and Azerbaijan before the US prevailed on the Nauru government to abandon its passport sales program. An ongoing, highly stigmatising case has been Kim Wong, who has been accused of masterminding the theft in 2016 of over US$80 million from the accounts of the Central Bank of Bangladesh. Wong is reported to have used his Vanuatu passport to leave and return to his home in the Philippines. Such scandals may make it harder for local people to use their national passports to travel internationally. None of schemes in Tonga, the Marshall Islands, and Vanuatu required much more of the buyer than a nominal physical presence. They were not supposed to be avenues for migration to these passport selling countries. Sellers thought that very few, if any, buyers would use their passports to move to the Pacific Islands. They were wrong. Passport sales have unintentionally led to relatively large Chinese populations and business communities being established by purchasers, especially in the capitals. Indigenous people have often been antagonistic to these developments. This hostility was expressed most dramatically in the widespread attacks, looting and arson directed at Chinese businesses in Nuku’alofa, Tonga’s capital, in November 2006. This destroyed a large part of the central business district there - which was ironically rebuilt largely with loans from Beijing. The past involvement of the Tongan royal family and prominent local politicians and officials in illegal passport sales consolidated the suspicion that such sales still continue. Tongan pro-democracy advocates such as ‘Akilisi Pohiva gained great political traction by leading mass demonstrations against passport sales. Pohiva has recently claimed that some passport buyers are heavily involved in methamphetamine (‘ice’) trafficking and other transnational crimes devastating the country and the region. Pro-democracy campaigners in Tonga highlight the view that passport sales foster major corruption, as well as dangerous collusion between criminals and the royal family, unhealthy political leverage for wealthy foreign passport purchasers, and the illegitimate disempowerment of local indigenous people. Pacific Island passport sales schemes are secretive and difficult to control, primarily because they can generate substantial windfall revenues for local elites, which rarely flow to the general population. Passport sales programmes (even when they are legal and official) have tended to be opaque. 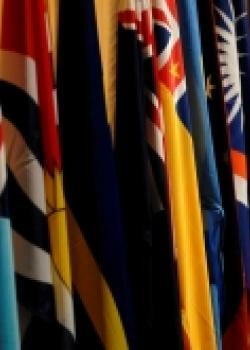 Pacific island tax havens were among the first countries to enter the passport selling business in the 1980s and 1990s. Yet their sales activities have been poorly organised, beset by crises, and largely unsustainable over the long term. In this way, they have lost competitive advantage to the more organised, successful and durable programmes in Caribbean tax havens such as Dominica and Saint Kitts and Nevis. However, there is substantial global demand for passports of convenience - and sales from Pacific Island tax havens continue.